There are few things in the civilized world today that evoke more awe and wonder than saying that you graduated from an Ivy League school. Most may see it as a bragging right, but it’s not just some footnote in your curriculum vitae that you have to explain out loud. One look at it is all that’s needed before you get that familiar slow nod that shows they realized that you mean business. After all, it’s immediately clear you came from one of the world’s top colleges. Having the reputation and prestige of an Ivy League school behind you is quite a powerful thing, and many would fight tooth and nail for it. Getting into Ivy League colleges is obviously no small feat, which is why people go high and low to find better and easier ways to do so. Obviously, staying in an Ivy League school is an even tougher task, but that’s a problem most people who are motivated enough would welcome anyway. This isn’t really a tip, but more of a pre-requisite. If you didn’t do well in high school, then getting into Ivy League universities isn’t really a cause of concern for you anyway. So bottom line, start the school year right. If it does cross your mind and you just happen to be still starting out in high school, then the best advice for you is to block out all distractions and do really well there, even at the expense of not having a social life that you won’t even remember anyway after going to college and becoming an adult. Your GPA is the benchmark for measuring how close you can be to being admitted into an Ivy League school. Being in the top 10% of your class is essential, and being higher up the rankings gives you even greater chances. Performing well in extracurricular activities also helps as it shows that you are a proactive student who strives for excellence at every turn. Once you’re at your senior year in high school, you should start looking into how admission works for one of these Ivy League schools. They would certainly be stricter compared to other schools, so learn the requirements and other crucial details by heart so that you won’t have to feel unsure once you undergo the process. Many paths lead to Ivy, as a lot of professionals who have been in them would say. Know that there are three major aspects of the college process: timeline, standardized testing, and essay writing. There are a lot of things going on during each of the individual processes, like taking SATs, submitting applications, and so on. Once you’ve decided that you’re going to an Ivy League school, you must jump into action as soon as possible. One of the big things when it comes to getting into an Ivy League school is writing an essay that explains why you want to get in there and why they should let you. You must exude passion and enthusiasm while remaining respectful of the institution and towards anyone tasked to read your essay. The golden rule here is to remain absolutely positive throughout the whole essay; show confidence at all times and do not deprecate yourself throughout any part of it—but be careful, you also do not want to sound too full of yourself at the same time. It’s a balancing act that you must maintain through careful, insightful, and honest writing, as well as deliberate proofreading and revision before you do send it in. After a brief introduction, you must then enumerate your personal achievements thus far and show just how devoted you are to academic and non-academic pursuits. The most important thing in this part is to exude genuine love for learning. Your GPA is the baseline for this, and showing that you’ve attended vocational classes and other supplementary activities help a great deal. You then should get into your expectations and aspirations as a prospect in that Ivy League school, looking forward to a future as a student and representative of that institution. Aside from a good command of the English language, what they look for in an essay is your “voice”, which is how honestly and comfortably you express your thoughts without being too off-the-cuff. People battle their way in there to be upstanding citizens with intelligence and ability when they get out of an Ivy League school, but many of them don’t get it right. They see it as a bumper sticker on their car or a highlight on their resume. While those are the side benefits of having attended an Ivy League school, they’re not the main reason why you should go to one. It’s the learning experience and the challenges you take that shape your Ivy League tenure; it’s an education, not a commercial product. Of course, an Ivy League school is not the only path to success in life, but it certainly isn’t irrelevant either. It’s not even a shortcut since graduating from one is an intellectually herculean feat that is nothing to scoff at. Most importantly, you have to remember that the journey is just as important as the destination, if not more. If you wanted more tips on your college admission essays, be sure to read on. We’ll have a section later on that gives you 16 valuable tips to make your essay the best it can be. The school year is upon us once again. For students graduating from high school next spring, it’s an exciting time: they are “top dogs” in their high schools and are looking towards a future filled with opportunities. 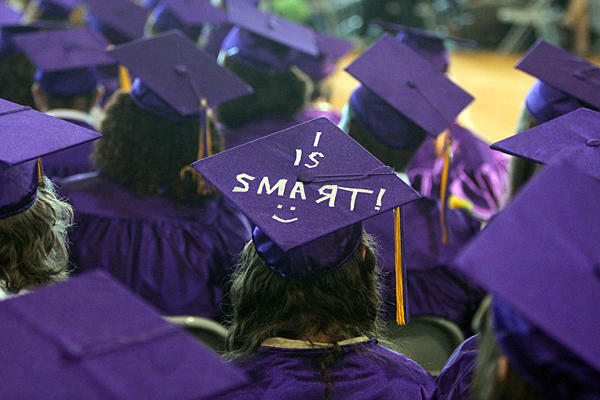 Many students are planning to attend college next fall and have been working towards that goal for four years. They have studied hard and earned good grades; they have participated in extracurricular activities and done volunteer work to round out their studies, and they have earned solid scores on college entrance examinations. Now, it’s time to put the final piece of the puzzle in place: the college application. Do you know how to apply for college? Before you, the student, dive into the guts of the application, it’s worth taking a tour of what an application typically requires, including supplementary documentation. As with an exam, preparation always makes the process easier. Students will be asked to complete an application for the school(s) of their choice. When are college applications due? You have to be sure you’ve got different college application deadlines laid out somewhere so you don’t miss any important dates. The last day for submitting an application is usually outlined somewhere on the college’s main website. Colleges may have unique online application forms or they may use a common application, which allows students to apply to multiple colleges at once. Check carefully when using the common application, because each school will ask for different supplementary documentation. Personal information, including your name, address, phone number, GPA, standardized test scores and high school awards. Extracurricular activities, including clubs, sports, part-time jobs. Explain what you did and the amount of time you devoted to it. Summer activities, including summer jobs, internships and enrichment opportunities. When you submit your application, you’ll be asked to pay an application fee. If you need help with the cost, your guidance counselor or the school’s financial aid office can point you in the right direction. Fee waivers are often available. When you take either the SAT or ACT you can designate colleges that you’d like to receive your score automatically. You can also request that your scores be sent to various colleges once you’ve received the scores yourself. Some colleges will request scores from any AP tests or SAT subject tests that you’ve taken. Schedule your tests far enough in advance of the application deadline so that you can obtain your results before requesting that they be submitted. If you aren’t happy with your scores, you can always arrange to re-take the tests. Colleges will want to see official transcripts from your high school and mid-year/final grade reports. The transcript they initially receive only contains grades through your third (junior) year of high school, and they want to ensure that you continue to apply yourself. They do reserve the right to change their minds, so acceptance isn’t a signal to slack off and fail your remaining courses. You may be asked to have the transcripts sent directly from your high school guidance office, or the college may request that you obtain a transcript in a sealed envelope and submit it with all other necessary application materials. Colleges generally require two or three letters of recommendation from high school teachers and/or guidance counselors. These recommendations attest to your character and discuss your academic performance in classes. Pick people who know and like you and can discuss your strengths. Make the request two months prior to the application deadline to give the preparer enough time to consider your traits and compose a suitable letter. Be sure these people have all the information they need to do their jobs, such as a website with a login where the letter can be entered. Stick closely to the recommended length. Create a draft and ask a teacher or guidance counselor for feedback. Review and revise before submitting. Applications for financial aid are completely separate from your admissions applications. You must fill out and submit a Free Application for Student Financial Aid (FASFA) by January 1 of your graduating year. You’ll also need to check each individual school’s financial aid policies to see what else might be required. Remember, there are many private scholarship opportunities you can apply for. It’s an exciting time, but scary, too. However, if you follow these steps, you’ll soon be off to a college of your choice where you’ll meet new people, learn new things and enjoy new experiences. Onward! Whether you’re answering essay questions or completing a personal statement for your college application, you’ll likely have to put some effort into a wordy essay that gives insight into who you are. How long should a college application essay be? This varies depending on your application, so make sure you’re not writing beyond or too far below the word limit. You may have the college application essay format down, but what should make up the ‘meat’ of your essay? 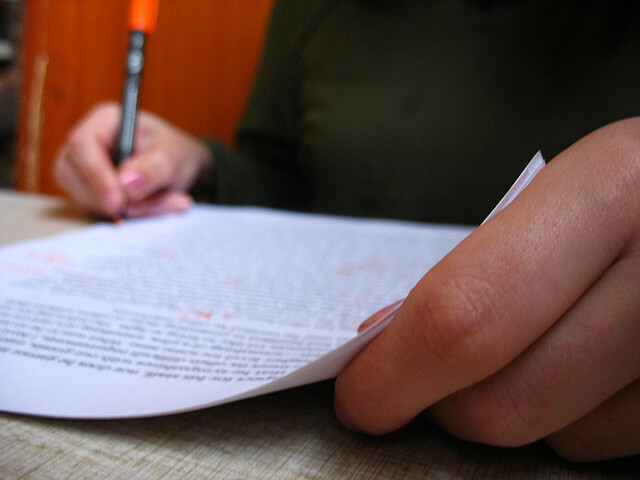 Here are 15 tips so you can write that winning college personal statement or essay! Yup, this is the most fundamental step in every write-up that you will ever make in your lifetime. Proofread your essay before even hitting the send button. You don’t want to be giving out faulty write ups to your dream Colleges. There are just some things that we would always fail to notice when re-reading our own work, so it would be best to have someone read it so they could give you their honest opinion about it. If you doubt your grammar, it would be very good to consult people like your friends and your family; also it’s great to see how they’d react to your writing. Most of the admissions officers in the world say that college application essays can be one of the most important or the least important requirements for a college application. Grades can help predict your academic performance. The essay, on one hand, would provide them more insights on who you are. So be sure to make every single sentence count. Now we might not be able to get approval from our friends and family who read our write up—don’t worry, it doesn’t mean you’re never going to get it right. Just keep on rewriting it until it becomes the best essay you’ve ever written. No matter what happens, minimize the possibility of letting anyone else tell you what to write or how you should write it. Let the essay be something that came from your thoughts. Stick to the topic. Remember that the question is asked to see how you would respond to it, so don’t go scribbling thoughts that aren’t related to it. It would be best to have everything outlined before you begin writing your answer. Take time to think about the given topic, but don’t overanalyze it. Keep everything simple but memorable, straight to the point but not boring, entertaining but not senseless. It pays to have people get to know more about how you feel. Plus it gives a certain authenticity than just plain writing. Just imagine that you are talking to whoever will be reading it and pour it all out on that piece of paper. There are plenty of templates on the internet, and sure it solves the problem of thinking about what to say or how to say things, but remember that people who are screening these materials have developed a strong eye for non-authentic things. Sure you want to impress people and get them to read your feelings and thoughts, so you go and pull out your thesaurus. But keep in mind that you should keep your words simple. What matters is how you put your simple words into something that could wow people. Schedule when you’ll be writing your essay. Writing takes a fair bit of time to get what you want properly laid out through strings of words and paragraphs so make sure that you find time to make your essay perfect. Never ever rush it: haste makes waste. Admissions officers have loads of paper to read through, so it would be best to write an essay that would catch their attention right off the bat. Keep it brief and gritty. Earlier, you were told to make sure your answer is in line with the topic given. Not only that but you should make sure that everything that’s in the essay is coherent, otherwise, it would just look like a piece of paper filled with random things. Well, it pays to have a strong sense of humor but make sure that it’s not all over the place when you write your essay. It’s great to be witty, but make sure you don’t go overboard. You’ll never know how the receiving person will take it. What would set me apart? There are thousands of applicants all around the country and all of them are trying to win a slot in the same university that you are aiming for, so now would definitely be the best time to ask yourself this question and have it reflected in your essay. Do this directly or indirectly depending on the prompt. Even though your essay is just a piece of material that you wrote, confidence has its way of letting itself shine through all this. The choice of words, for example, would give a fair glimpse into you as a person, as well as how you articulate your thoughts. So keep in mind that you’re capable of impressing them and that you’re sure you have poured your heart into your essay. With these compiled information, checklists and tips, we at StudyPug wish you the best of luck with your college applications!